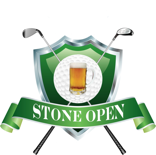 The Stone Open is proud to support The Special Operations Warrior Foundation. The Special Operations Warrior Foundation has been supporting the families of fallen and wounded Army, Navy, Air Force and Marine Corps special operations personnel for over 31 years. The foundation provides two primary programs: full college scholarships and educational counseling to the children of fallen special operations personnel. Scholarships include tuition, books, fees, room & board, laptop and printer. The SOWF also provides immediate financial assistance to severely wounded special operations personnel so their family ones could be bedside during their loved one’s recovery. Today, the SOWF has 928 children in its program with 140 students currently enrolled in colleges and universities across the country. “What makes us different from other scholarship organizations is that we proactively reach out to all of our students and work with them to get them into school,” said SOWF President, John T. Carney, Jr. The Special Operations Warrior Foundation relies on financial gifts from the general public and donations generated by grassroots fundraising events organized by supporters, as it does not receive funding from the federal or state government. “This exceptional designation differentiates Special Operations Warrior Foundation from its peers and demonstrates to the public it is worthy of their trust,” said Berger.